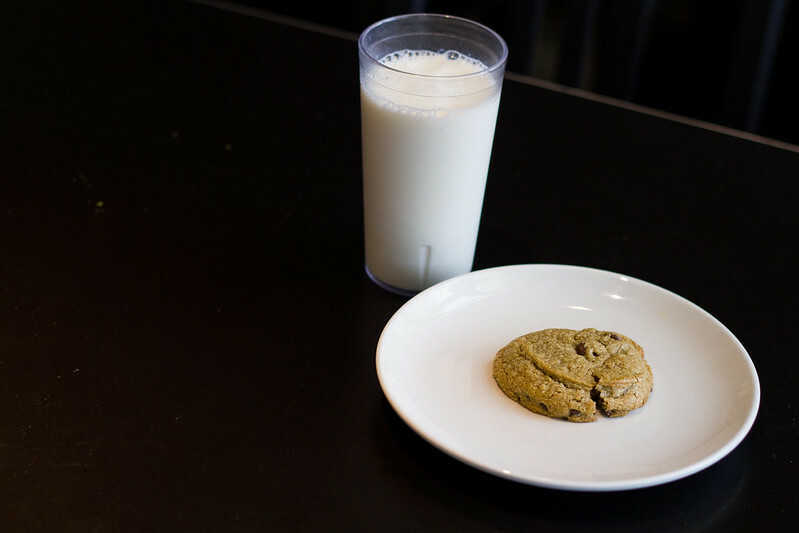 Eat the cookies of a pro in just 15 minutes. Stuck on campus? Convinced that there is no way to get ingredients for your next recipe? Fear not! 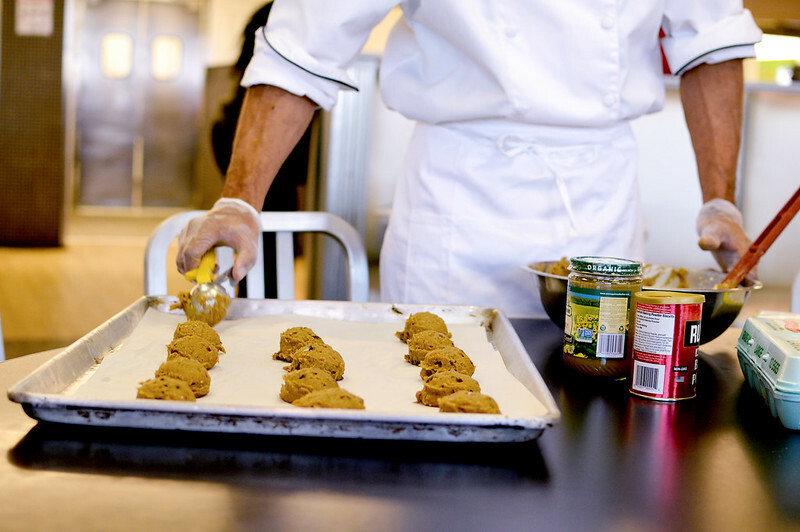 Recently, Chef Erik of dining services held a demonstration and introduced attendees to an easy cookie recipe that sources every ingredient from the Hillside POD. Chef Erik trained at the New England Culinary Institute, in everything from fine dining to pastries. He’s been with the University of Rochester for four years where he designs recipes, oversees food quality and balances nutrition in the menus at Douglass and Danforth. 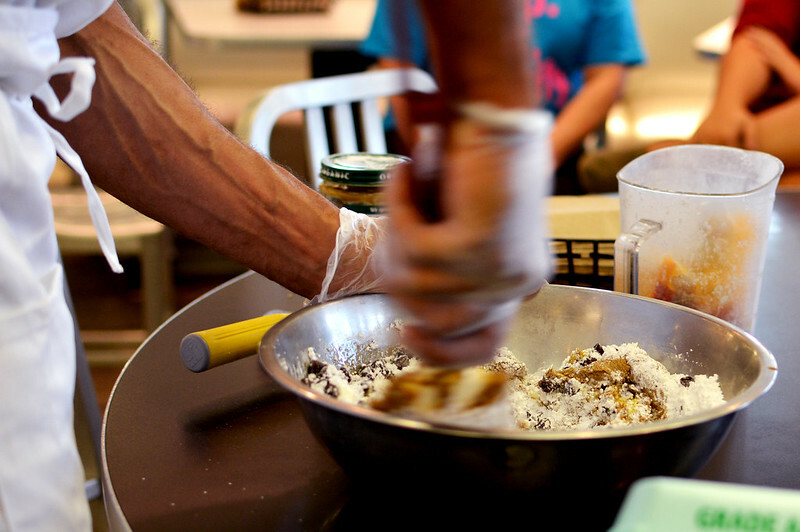 This recipe comes from his experience at a bakery that specialized in unique dietary restrictions. Much like that bakery, the dining halls on campus are working to increase options for vegan, vegetarian and gluten free students. So just how does this recipe work? Chef Erik explained to attendees that the secret to this recipe is in the use of confectioner’s sugar (also known as powdered sugar) instead of regular sugar. 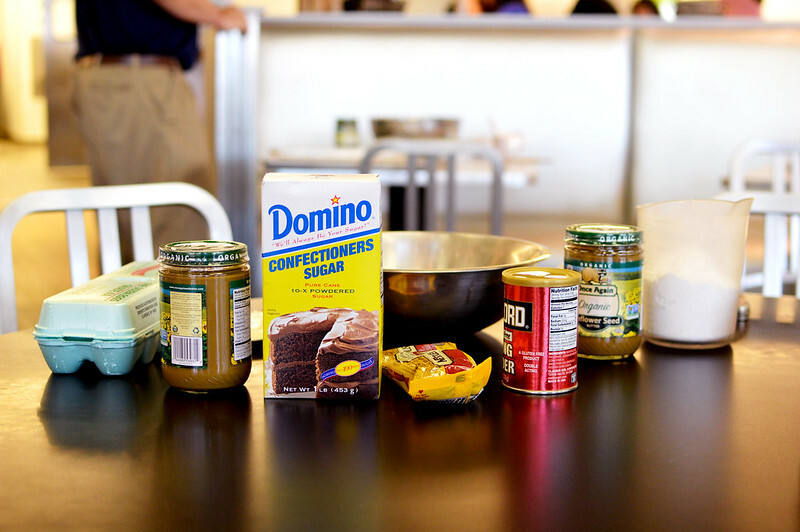 Confectioner’s sugar has added cornstarch, which takes the place of flour, the only gluten-containing ingredient. Since Danforth is completely nut-free, Chef Erik designed this recipe using sunflower seed butter, (although any nut butter will work, so you are free to experiment with your tastes). The sunflower seed butter and the confectioner’s sugar combine to create a uniquely soft and gooey cookie. Plus, all measurements come in twos which make for easy scaling without having to resort to your calculator. 1. Preheat the oven to 325ºF. 2. Combine all the ingredients in a bowl. 3. Cover your baking tray with parchment paper. Form balls of the dough about the size of a golf ball and place them on the tray. 4. Bake for 10 minutes. Cool briefly, then enjoy! Need more of that sweet chocolate chip cookie love?